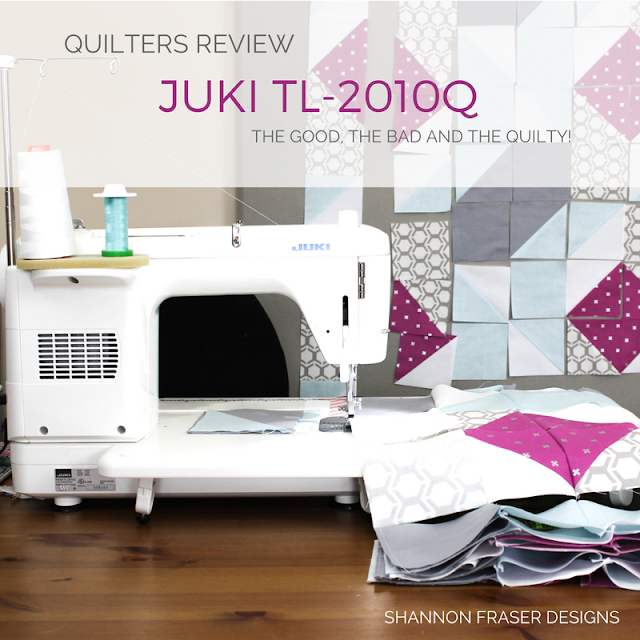 Shannon Fraser Designs: Juki TL-2010Q Review – The good, the bad and the quilty! Juki TL-2010Q Review – The good, the bad and the quilty! I cannot believe it's already been a little over 2 years since I got the beast...the beast that is my sewing machine, that is!! 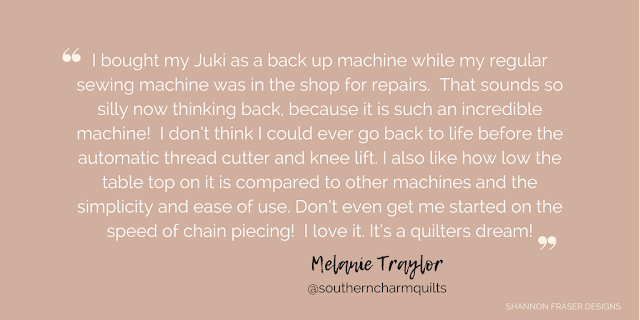 I've been getting asked a lot what machine I sew and quilt on, and I remembered I would share a review of my new Juki with you. Well, not new anymore, I got her back in April of 2016, so, really not new. But she still feels new to me! I still get that excited "want to keep her as shiny and unmarked as the first day I got her" feeling. Like a new pair of shoes you don't want to get scuffed! I spent the better part of a year researching and weighing my options in the overwhelming world that is sewing machines. The plethora of options is a testament to the technological advancements this industry has seen. And yet, for all those new bells and whistles, things are weirdly the same. Let me explain. I started sewing on my mum's White sewing machine. She's definitely an older machine but conjures lots of nostalgic memories of my mum sewing when I was a kid. 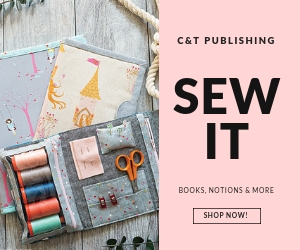 I wasn't really into sewing at this point, it wasn't until my mid thirties that I took an interest in sewing and a whole new world opened up to me. The first project I really tackled were stocking bags for the family. I didn't have a pattern. Had never sewn a bag before. But in my minds eye, I knew exactly what I wanted to create. My mum's trusty old sewing machine was a little fiddly, but I could tell she was well made. There were no bells and whistles. No fancy stitches and certainly no automated anything. But she worked, and I learned a lot about tension and threading and all that jazz. About halfway through my project the hubz decided to buy me my own sewing machine. A little entry level Singer Inspiration. It was cute and new and worked like a charm. As time went on and I used her more and more for my business, it seemed the issues kept getting worse. Often times, I would be stitching along when all of a sudden, the tension would go wonky. Gah, so frustrating! I hadn't changed anything. My fabric thickness hadn't changed. So why was my tension all of a sudden off? I would then spend a good 30 minutes re-threading and testing to get it back. This started happening more and more frequently and was beyond annoying. Add to that that I started quilting. 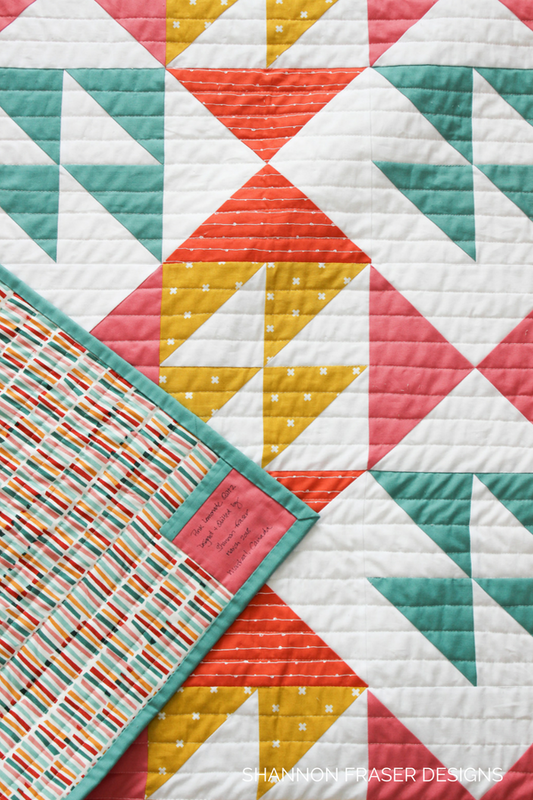 And, while piecing wasn't a problem (minus said tension issues), she was impossible to top quilt on. The throat was WAY too small and my walking foot jiggled every time I had to stop, leaving little wiggles in my quilting. The results were less than stellar. And I started to feel like I was ruining my quilt tops. I mention all this, so you understand what my requirements were in a new sewing machine. Up first was the throat size (or the harp size as it is technically called). This was the determining factor as to whether a machine even made the list. It's a good thing too as it narrowed the field a little. 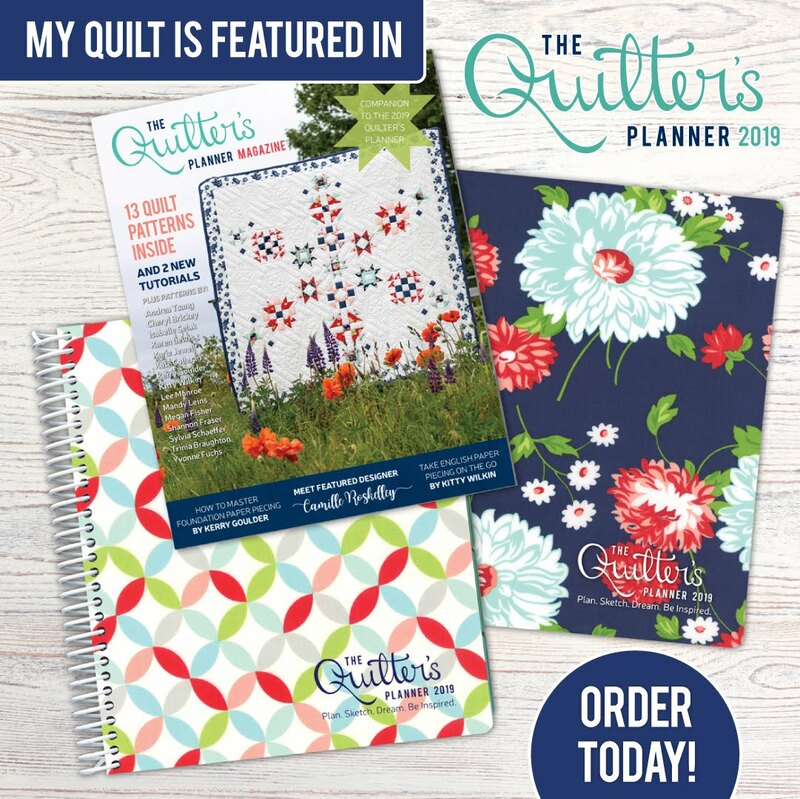 Having connected with lots of quilters on Instagram and blogs, I knew there were several models that seemed to be preferred by quilters. This helped me narrow the field down even further. I mainly looked at Bernina, Janome, Baby Lock and Juki. There is such a huge price variance between these brands and price was definitely a factor for me. I couldn't justify spending over $5K for a Bernina, as much as I'm sure I would have loved it. Baby Lock proved to be a challenge to find locally, so that left me with Janome and Juki. Ultimately, I wanted to keep things simple and shied away from anything computerized, as I’ve heard this can be problematic down the road. After test driving a Juki, I was immediately hooked. Plus, she was about half the price of the Janome Horizon that I was considering. Which, if you know me, I’m all “that’s a whole heck of a lot of fabric I can buy!!”. So, the Juki TL-2010Q it was. 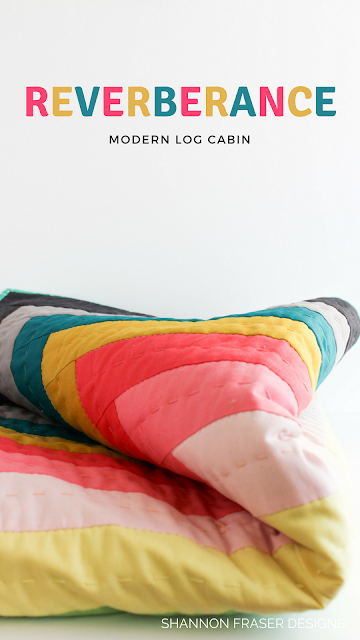 She quilts beautifully. 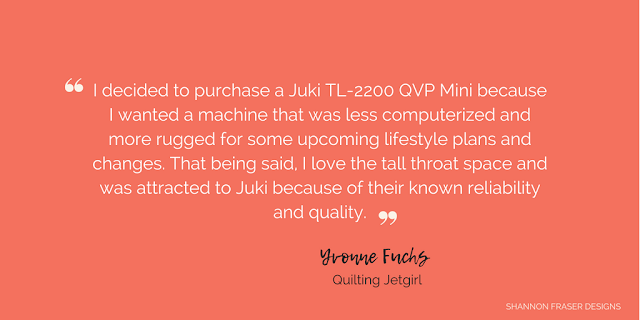 A quilty friend reached out and mentioned they had real issues quilting on their Juki, so much so, they went for a Janome instead. I do now recall having some puckering issues on the backing fabric and impressions from my dog feet left on the top of my fabric. I solved this by reducing the pressure of the foot. When I’m piecing, it’s at the mid point, but I turn it all the way to the top when I’m quilting. If you’re having puckering and dragging issues, try this change and see if that helps. Automatic thread cutters – a button and on the pedal – SO cool! Needle down feature – I can’t tell you how much I love this feature. It’s amazing when quilting. No tension issues – unlike with my Singer where I would lose oodles of time to getting my tension settings right (even mid way through stitching a seam – ugh), with my Juki I just set it and I’m done. 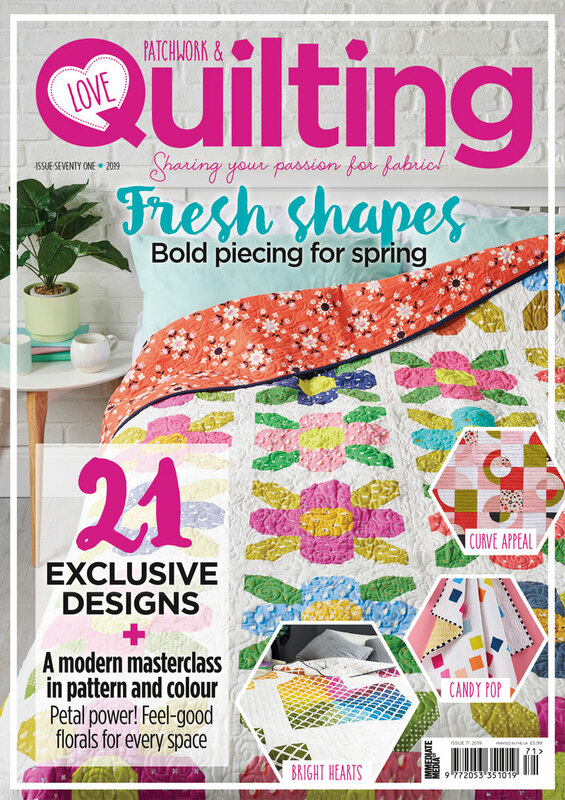 I only ever fiddle with it when I’m quilting with a different colour thread in my bobbin. I can piece teeny tiny pieces (which I keep getting questions on as I tackle my #100daysofsfDminis). Because she’s a straight stitch only machine, the needle hole is not as wide, so less opportunity for your machine to eat your fabric (something my Singer used to do ALLLL the time). I love the large extension table she comes with. 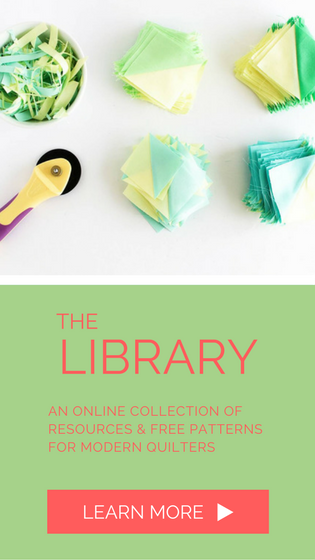 Perfect for both piecing and quilting. Hidden bobbin (meaning I have to move my quilt to make a change, not a problem when I’m chain piecing). Auto needle threader doesn't work, or at least I haven't figured it out! But I seem to be unique in this challenge 😉. Need to use a screw driver to change feet. It does ensure for a nice tight fit though. 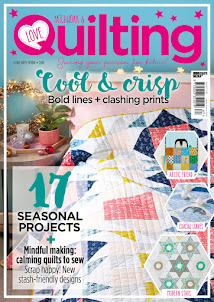 The walking foot makes a ruckus – I thought it was broken until I asked my quilty friend Izzy (of Dizzy Quilts) if hers did the same, and it does. She’s thirsty. I need to oil her regularly, which I don’t really have a problem with, but I know it can be a deterrent to some. 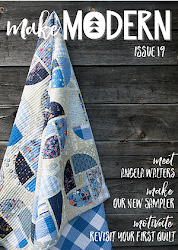 Plus, I have had issues of getting random spots of oil on my quilts while quilting – ugh! But I believe this might be my own fault from over oiling. The best trick I’ve found is to clean around the top of the needle holder and needle threader where it seems to collect. Only does a straight stich. Which has been fine up until recently when I wanted to do some raw edge appliqué on my Bohemian Garden Quilt and had to do needle-turn appliqué instead. I can’t tell you the number of hours I’ve spent at this machine and I’ve loved every minute of it. 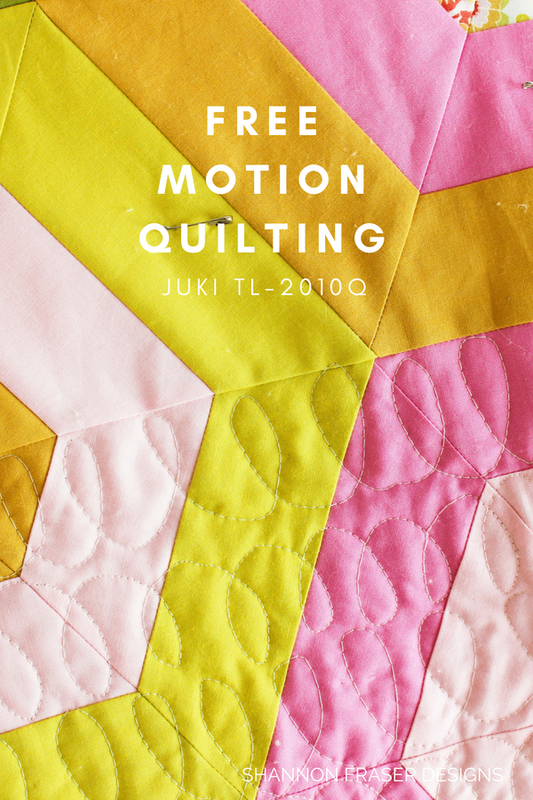 I’ve even attempted free motion quilting, which worked like a charm with the ¼” free motion quilting foot that came with the machine. 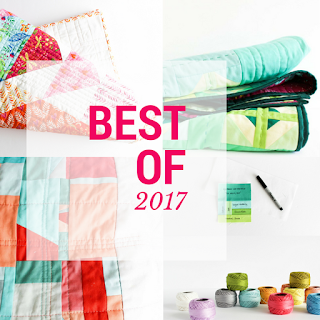 You can see the results of that in my Hexie Stripe quilt. And when I say I haven’t had tension issues, I truly mean it. Once I settle on a setting, she just stays there. I’ve gotten to the point where I don’t test after every bobbin change like I used to on my Singer. The hours this has saved me is incredible. It’s really nice to have confidence in your machine. That she’ll just do what she’s supposed to do. I’ve even tackled using a different coloured thread in my bobbin with great results. There were no hints of the bobbin colour showing up on the top of the quilt. This wasn’t something I could ever consider with my Singer. I’ve done it a few times now, but you can see the results in my Reverberance Quilt (pattern available here). To keep her in tip top shape I regularly clean her and give her some TLC. You can read more about my weekly Studio Maintenance (which includes cleaning my iron). I also tackle this cleaning more frequently when I’m doing intense sewing – say, every 3 bobbin changes, especially when I’m quilting. My go-to needles are the Schmetz Quilting Needles in sizes 75/11 (for all piecing) and 90/14 (for quilting). Is there a specific brand you like? 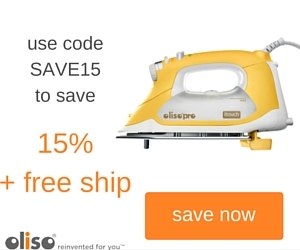 If this isn’t your first sewing machine, you may already have a brand that you trust. Nothing wrong with staying with a company you like. 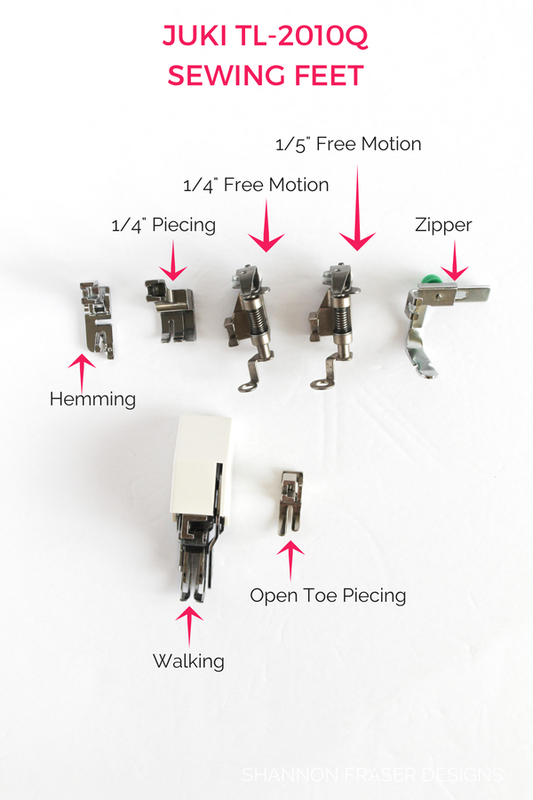 Plus, you may already have some feet that are interchangeable with the new machine, saving you from having to buy extra parts. What are the main types of projects you will be working on? 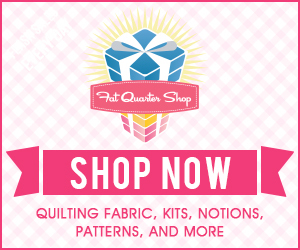 If you only plan on quilting, then a straight stitch only machine will definitely suit your needs. However, if you plan on sewing garments as well, then you’ll probably run into some limitations. 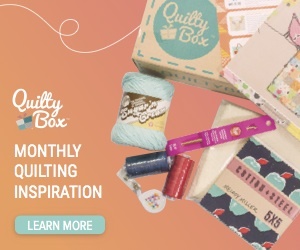 Unless, of course, you have a serger. And if you want any decorative stitches, then you’ll need to find a machine that offers the ones you’ll use. 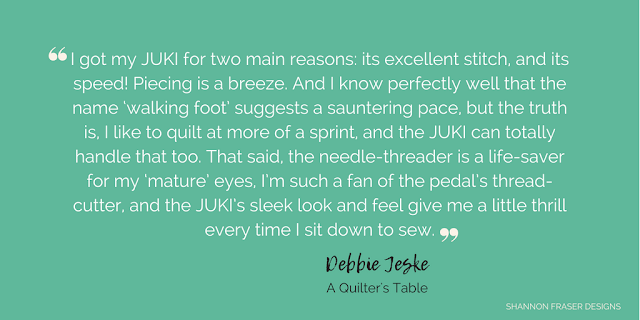 The harp space on the Juki is ideal for quilting your own quilts at home. 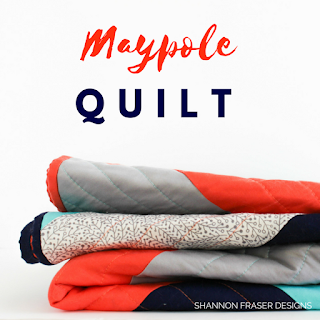 The amount of wrangling you need to do to get your quilt through the throat is seriously reduced. 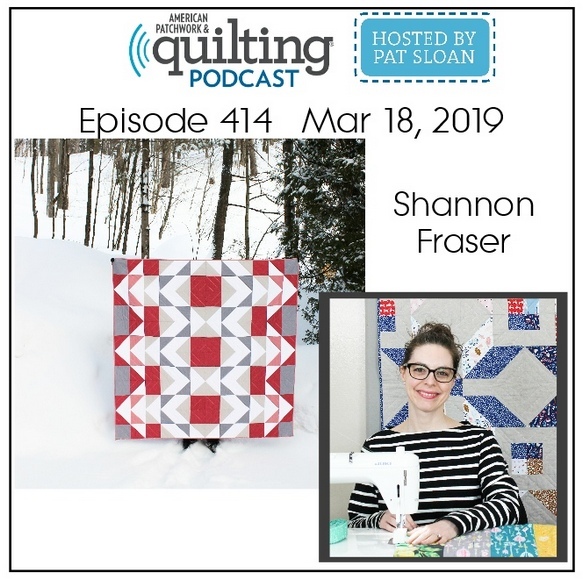 But this may not be a concern if you plan on sending your quilts out to a long armer, or you plan on quilting small quilts at home. In which case, a large harp space may not be a concern of yours. 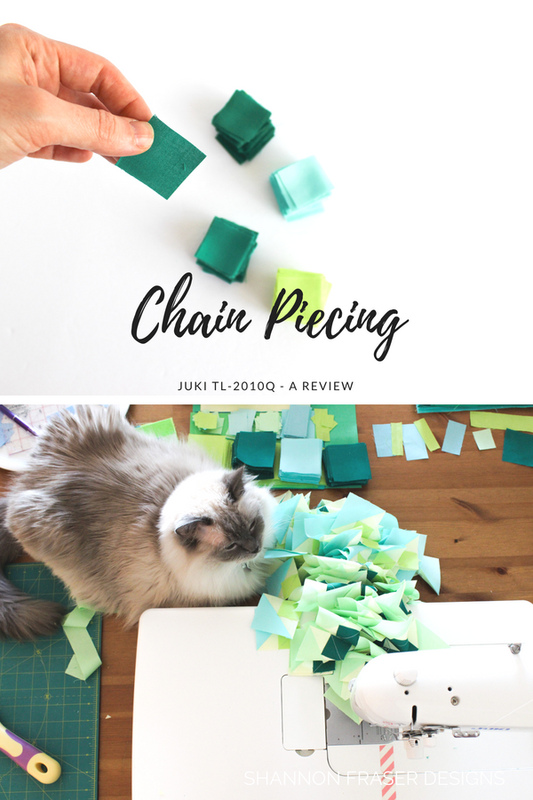 She does piece like a dream though, so even if you only plan on piecing with your sewing machine, this one does an amazing and fast job! What features do you need/ want? I knew right away that I wanted several key features: needle down, automatic thread cutter, large harp space, non-computerized, automatic needle threader. Think through the features that matter the most to you. A sewing machine is typically a longer term purchase and you’re the one who will be stitching with her. So, spend some time thinking through what you absolutely need from a machine vs. what would be nice to have. This will also help you stay focused when shopping and limit yourself from being swayed by fancy features that you many not even use. Test her out before bringing her home. I can’t emphasize this enough. It doesn’t matter whether someone (myself included) raves about a machine, if it doesn’t FEEL good to you, then you won’t enjoy your purchase. And having awesome sewing sessions starts with loving your machine. So, test her out. I brought my own project, so I could get a true feel for how the Juki quilted with the types of fabrics I normally use. This one is hard, I know. Even though I was 99.9% sure I would be buying the Juki, I still walked away and thought about it after my test drive. The fact that I kept dreaming of how awesome she stitched, I knew I would be heading back to buy her. But it’s important to give yourself some space between looking and testing and actually buying. If you’re still convinced that machine is the one for you after a few days, then you’re all set! Where will you have it serviced? The dreaded servicing! 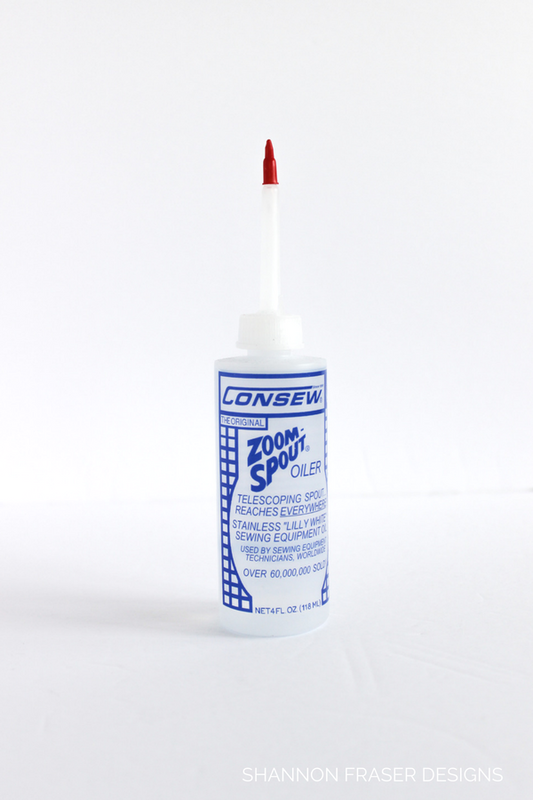 A necessary evil of maintaining the health of your sewing machine. You have a couple of options here. The place you buy it from typically offers service on site and often include free service within the first year. Or you can find a local freelancer. A great place to find the latter is through your local guild. And comes in handy if you purchased your machine online. 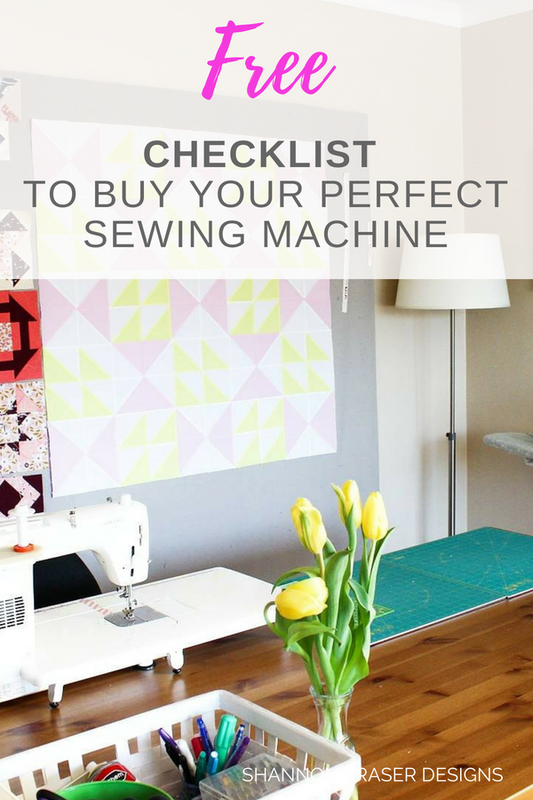 I’ve put together a sewing machine buying checklist to help with your purchase which you can download by signing up here. Elizabeth Ray (@elizabethkray on Instragram) was super kind to provide a comparison of the Juki TL-2010Q vs. the Juki TL-2000QI for those of you considering these models. “I own 2 Juki's the TL2010Q and TL2000Qi. I got the 2010 first in Feb 2015. I love it, it was a game changer for me, more power, speed, throat space, and I could more easily free motion and walking foot quilt my own quilts. In November 2017 I picked up a used grace frame and decided to purchase a TL-2000Qi machine to keep in the frame and not have to move the 2010 back and forth, in and out of the frame. I got the 2000 as the cost is lower and I didn't need the few extra features the 2010 has. I know when I was buying my first Juki in 2015 it wasn't exactly clear the differences and I noticed most people I saw had a 2010 so I got the 2010. In hind sight I would have been fine with a 2000. I don't notice or miss the sub tension dial. I never use the speed control I just control with my foot and leave it in the highest position which is the same as not having speed control. I don't like the style zipper foot the 2010 comes with and always use my hinged zipper foot P363 or the Zipper feet P36LN or P36N. I do love my hemming foot and use it a bunch. Definitely buy this if you get a 2000 machine. The 1/4" quilting foot I never use and always use the 1/5" quilting foot which you get with both machines. I will add that I used the 2000 machine for a month in place of my 2010 to test it out in full. Now the 2000 lives in the Grace frame and I have quilted a bunch with it, no issues. I do like all the parts are interchangeable on my 2 machines just in case. 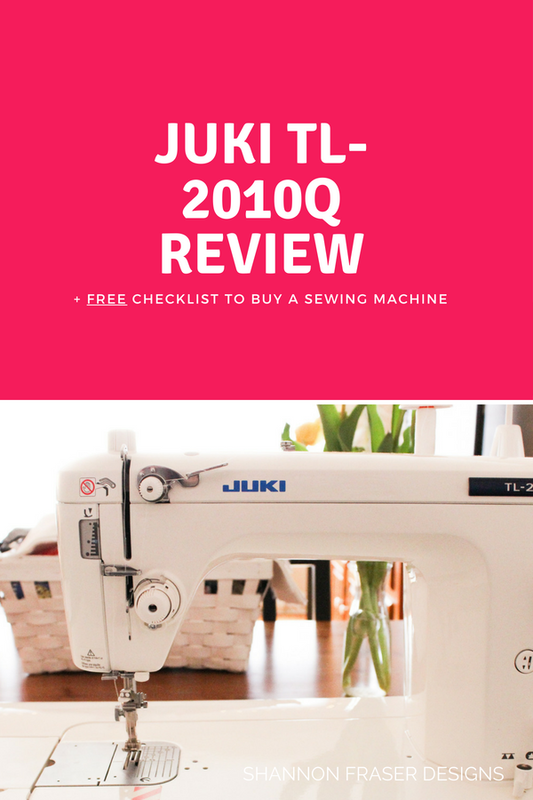 Whether you go for the Juki TL-2010Q, another Juki model or an entirely different machine, I hope this overview has helped you narrow down your decision. Ultimately, no one can make the decision for you. 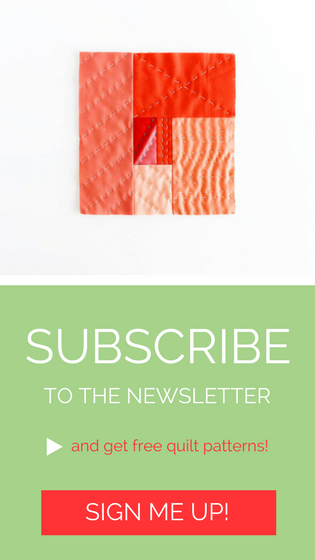 You’re the only one who knows what features are key for your style of sewing. I just hope some of the tips and feedback help you think through your purchase, so you end up super satisfied with your purchase. After all, that’s what’s most important. Oh, and don't forget to grab your free checklist when you sign up! If you have any questions, feel free to leave them in the comments below. I’m always happy to share my experiences to help you out. Yes! I remember you sharing those details and I keep meaning to pick one up. Thanks for the reminder! What a comprehensive post - wow! 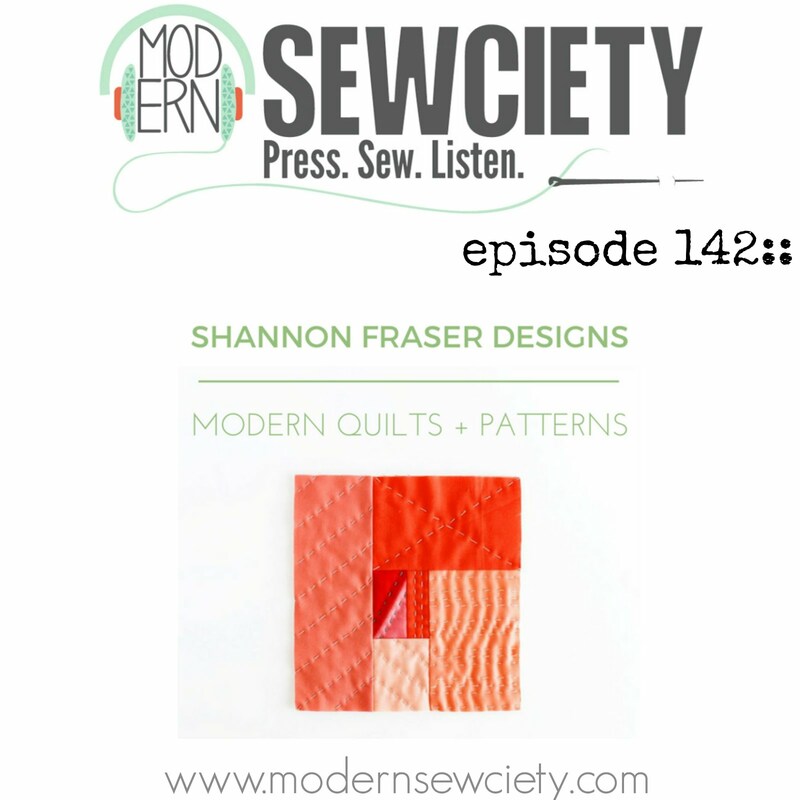 Appreciate your including my comments & really enjoyed reading those of our fellow quilters. Aw, that is so sweet of you, Debbie. 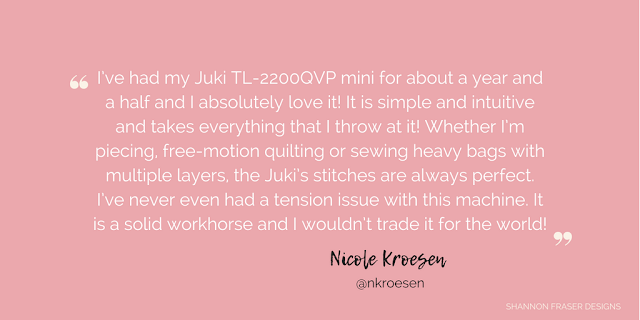 Thank you for sharing your thoughts on your own Juki experience. 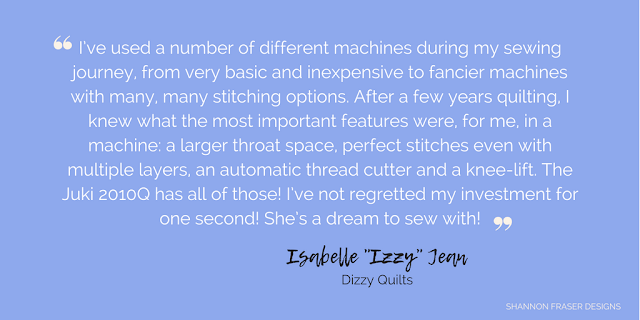 It's always fun to hear what other quilters think of their machines. 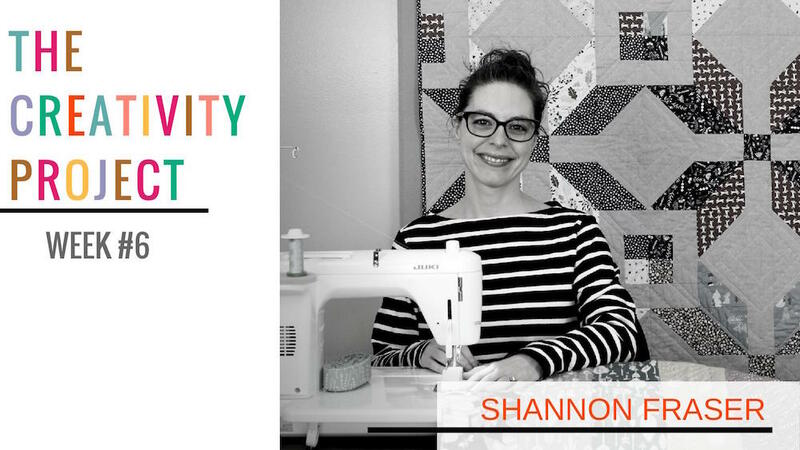 Great post, Shannon! I don't think we went on enough about how "pretty" the machine is too. Hugs! The struggle is real, my friend! It's a tough decision to make, but if you already envision using a zig zag stitch, then I would go the Bernina route. Nice to have the dealer close by and I can't imagine regretting sewing on a Bernina for years to come! Amazing review Shannon! 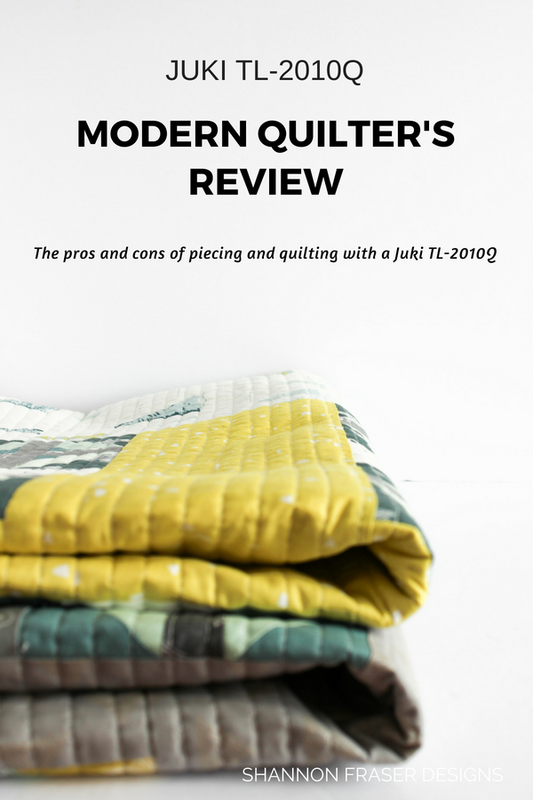 The Juki really is the perfect quilting machine for me. I’ve been trying my hand at garment making recently and although I have managed to make a few pieces with the Juki, I also got myself a serger which helps with finishing seams since I don’t have the zig zag stitch on my regular machine. I am also probably going to have to get my old Singer out when it comes time for more “advanced” garments with buttonholes and such.